From age four in 1937 to his death in 1998, Donald Harrison Sr. embraced the tradition of New Orleans' Mardi Gras Indians. As Big Chief of the Guardian of the Flames, he led with both wisdom and passion. This biography of this remarkable man is based on more than seventy interviews with his family and others he influenced. 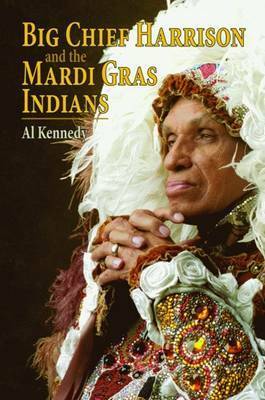 As a teacher of American history at the University of New Orleans, award-winning author Al Kennedy frequently lectures on the city's musical heritage. His expertise has earned him several honors, including the Jazztown Award, the New Orleans International Music Colloquium Jazz Supporter Award, and the Mardi Gras Indian Hall of Fame Blue Eagle Award. Kennedy earned his BA from Loyola University, a master's degree in public administration, and a PhD in urban studies/urban history from the University of New Orleans. He resides in Metairie, Louisiana, with his wife.